Julie Steelman generated over $100 million in sales, left corporate America and retired at a young age to live in Hawaii with her husband. Isn’t it time to turn your dream into reality? The very thought of asking someone for money might bring about nausea…and you are not alone. Then again, you work hard and you are as ready as ever to maximize your profits and boost your bank account balance. Its time for us to have the “How to Sell” conversation, and there is no one better to help me with this topic than Julie Steelman. Most entrepreneurs trip over the cash-generating functions of their business because there are so many misperceptions about selling. That means most of us are leaving precious dollars on the table and forfeiting our right to live abundantly. The truth is, when your mind-set, heart-set and skill-set are aligned properly, you become instantly bankable. You easily magnetize your ideal customers and have the soul-satisfying business you always dreamed of. Everyone (including you) has their own natural selling and money-making style. It’s just that you haven’t known how to access it or how to use it to win business graciously. I will also sharing the internet airwaves with Martin Presse, my Co-host for the Day. Martin has an incredibly successful business practice as a presentations coach. He’s an expert in being able to captivate any audience and keep them on the edge of their seats! Julie Steelman is an author, a speaker, a selling mentor and a bankability guru. Her credits read like a Who’s Who of big-name corporate giants with Apple, Microsoft, Toyota, CBS, Sony Studios and Universal Pictures in her rolodex. She has generated over $100+ million in sales during her 30 year sales career. Julie is known as The Entrepreneur’s Selling Mentor. Her heart-centered selling strategies make her the go-to guru for entrepreneurial business owners who want to master the art of selling and maximize their bankability. While selling with sincerity may not be the norm in Corporate America, it’s standard practice for this maverick. 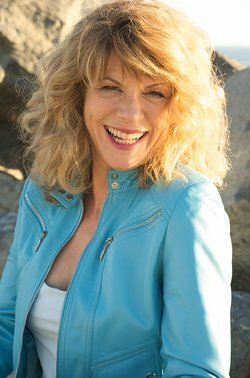 Recognizing that the selling relationship starts with understanding a buyer’s pain points, Julie earned a Masters Degree in Spiritual Psychology from the University of Santa Monica in 2001. Julie’s heart-led approach to selling transformed her clients’ businesses. In one instance, she unlocked a two-year stalemate between a major movie studio and a popular search engine, closing a two-year, $3,500,000 deal. In another example, she turned an apology meeting, with one of the worlds biggest brands, into a long-term multi-million dollar deal leaving with the first $1,000,000 in hand. Now retired to her personal paradise in Hawaii, living debt-free, Julie developed the easy-to-master “Effortless YES! Selling System”™. She spends her time helping business owners overcome their aversion to selling in an honest, transformational and interactive style. Her ability to see the possibility for life-long prosperity in her client’s businesses, has made her the highly sought after expert in her field. Julie developed her own brand of selling by combining her vast sales expertise with her deep understanding of buyer psychology and seasoned it with street smarts. She returned to the entrepreneurial business arena to teach these powerful principles to entrepreneurs interested in getting the sales they want and making all the money they’ll ever need. Martin Presse is a keynote speaker from Alberta who shares a message about overcoming fear and failure, standing by commitments and harnessing the power of the mind. Even at a young age growing up in a bilingual community in Southern Quebec, Martin had a passion to entertain audiences—from singing like Elvis for family and friends to trying out comedy and taking acting lessons. He always dreamed of performing for a living, but life got in the way. Finally, at the age of 35, Martin decided to go back to his roots and do the thing he enjoyed most, public speaking. HypnoMarty took flight soon after seeing a comedy stage hypnosis show. He became a professional speaker and entertainer, but that was just the beginning. In August 2008, Martin entered Toastmasters International World Championship of Public Speaking and finished in the top ten out of 30,000 contestants from around the world. Martin hasn’t stopped speaking since then. Today, Martin travels across North America presenting keynote speeches and hypnosis shows. 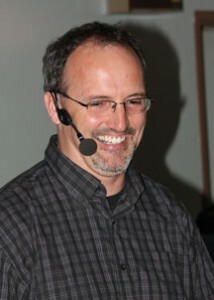 He also coaches individuals who want to improve their speaking skills.